Impressive stuff. No wonder she was invited onto today’s The Wright Stuff to debate with Simon Singh on the subject “Homeopathy: A Waste of Money”. Indeed, Jayney Goddard is a regular guest on the show and boasts an impressive appearance list in other shows, including being resident ‘Expert’ on Discovery TV. But Jayney appeared to state a number of surprising factual errors and have some over optimistic interpretations of the research literature (and I will come onto these). How could such a eminent expert make such mistakes? I thought a little background research might be in order. So, President of the CMA, “the world’s largest professional membership body for complementary medicine”. What is the CMA? Well, the CMA web site does not appear to be what I expected. It offers some articles, sells a few books and food supplements and offers marketing services for members. Looking at Company House records, the CMA is registered address is Chase Bureau Services, a supplier of ‘off the shelf companies’ and other company secretarial services. So, no ‘head office’ for the CMA then. The web site for the CMA is registered to a private individual with an address given in a residential block of flats in Wandsworth. I’m disappointed. The CMA is not sounding so grand as I first thought. However, the CMA does usefully offer viewers of the Wright Stuff options to buy products that Jayney mentions on air. It looks to me like Jayney Goddard is president of a shop. So, what about being Professor Jayney Goddard? We are told that Jayney was “recently awarded a Professorship from Mahendra Sanskrit University in Kathmandu, Kingdom of Nepal”. The university was set up to promote the Sanskrit language in Nepal. However, when I tried to contact the University to find out more about Jayney’s Professorship, I found their website is permanently down. Unfortunately, it would appear that in 2002, a hoard of women Nepalese Maoist rebels reduced the University ‘to cinder’ and destroyed all the ancient Sanskrit texts, University buildings, furniture, and all university records. The rebels had previously planted a ‘crude but powerful bomb’ there too. It is not clear if Jayney Goddard makes frequent visits to fulfil her Professorial duties. And what of these claims to have studied homeopathy at Imperial College? The University is one of Britain’s most prestigious degree level teaching and research institutions. It does not offer a degree in homeopathy. Elsewhere we are told that her qualifications are “diploma in hypnotherapy and is a Licentiate of the London College of Classical Homeopathy”. No qualifications from IC then? This is a puzzling one. And finally, Jayney says she has been elected a Fellow of the Royal Society of Medicine. What does it take to become a Fellow of the Royal Society of Medicine? The answer looks to be about £356 for a London resident. You can join online. I filled in the form and elected myself to become a Regional Fellow for £287. Bargain! Le Canard Noir, Fellow of the Royal Society of Medicine. Magnificent! My mum will be so proud. It looks like Jayney could become a Fellow as her ‘presidency’ of the CMA is obviously a ‘senior management’ role in healthcare. There is so much more on Jayney’s CV that we could explore. But enough for now. So, what of these errors she made on the Wright Stuff? Simon Singh was arguing that the totality of scientific evidence for homeopathy showed that it was ineffective and a placebo based therapy – unsurprising given that it is just plain sugar pills. Jayney tells us though that ‘outcome trials’ are the way to measure homeopathy. These trials almost always give you positive results for homeopathy – they are just not very good as they do not compare homeopathy against any control group. It is impossible to know if the effect was caused by homeopathy or it was just people getting better on their own. Simon argues this, so Jayney went into animal experiments and this is where she lost the plot. There is just some research printed recently, I think it was actually in Immunology which is one of the worlds leading scientific journals and it showed that mice exposed to something causes Chagas disease (guffaws) … these mice were treated homeopathically, prior to being infected. It was a properly run double blind placebo controlled trial – the gold standard that Simon is actually talking about – and what actually happened was the untreated mice died, the mice that were treated did not get the disease. Wow. But is it true? Well, no. The research was done, but not published in Immunology. It was published in the in-house comic of the Faculty of Homeopaths, Homeopathy – a rag with as much scientific integrity as the Beano. The paper, “Effects of homeopathy in mice experimentally infected with Trypanosoma cruzi “, did not say that the untreated mice died or that the treated mice did not get the disease. It reported that more mice died in the control group but that this was not statistically significant. But the main criticism would be that the statistical certainty of effects were low (only p<0.05) and that multiple measurements were being made in five groups that would undoubtedly result in many false positives. If Professor Jayney Goddard thinks this is the best evidence for homeopathy, then we can be pretty sure it does not work. What is certain, is that this TV show was not the right forum for discussing p-values. But Jayney went on to discuss homeopathy for childhood diarrhoea. She talks of trials ‘all over the world, in developing countries’ where children with diarrhoea have been treated with homeopathic medicines and also placebos and Jayney claims that the children who have been treated homeopathically had shorter periods of diarrhoea. Jayney tugs the heartstrings and tells us that the poor children of Burma, after the recent cyclone, could benefit enormously from such treatment. Undoubtedly, it is the sceptic scientists like Singh who get in the way of saving the children. Again. Is this true? Again, no. Diarrhoea and homeopathy is really just one researcher’s passion – Jacobs. She has been involved in a number of trials in places such as Nepal and Nicaragua. Individually, these trials did not show a strong significant effect for homeopathy. But when Jacobs did her own meta analysis on three trials, she claims to be able to show a statistically significant effect. Jacobs suggests that “larger sample sizes be used in future homeopathic research to ensure adequate statistical power”. Showing his own biases, the paper did not discuss the possibility that homeopathy could not work, but rather that the homeopathic pills had been stored incorrectly and so on. In discussing the Chagas and diarrhoea trials, Jayney Goddard misled her TV audience. It would have taken half an hour for Singh to untangle that lot, even if he had the relevant papers to hand. Given the the show host was acting like a moron pretending him and his friends did not need protection in malarial areas, Simon Singh did not have a chance of getting clear science across. Simon, you’ve got trials that prove your case, Jayney, you’ve got trials that prove your case, which makes it very difficult for us to know where the truth lies. Well, if Simon’s colleague, a real professor of complementary medicine from Exeter University, Edzard Ernst, had come on, then perhaps there could have been a rational and fruitful discussion about the role of homeopathy in the NHS. But instead of Professor Ernst, we had to have a Professor from a long-since burnt down Nepalese Sanskrit University who runs a web site selling homeopathic books and pills. That, in my opinion, creates the obvious confusion shown on this show. This could mean that she went to Imperial, bummed around for 5 years, graduated with a 3rd after resitting a couple of years and then got some flimsy bit of paper saying she was a homeopath from somewhere else. It doesn’t explicitly say she has a degree in homeopathy from Imperial (as such a thing is impossible as you point out). Interestingly, when someone mentioned claims to cure cancer she hurriedly said that homeopathy is a “palliative”. Wonder when the word is going to get to the homeopaths who habitually denigrate EBM? Whilst I have no doubt as to the total veracity of what you say about this questionable lady,don’t be so ready to dismiss all “quacks”.I use both traditional and alternative medicine,selecting BOTH practitioners very carefully.It is my experience that whilst there are huge numbers of alternative frauds there are many in the Medical profession.Recently it took alternative medicine to identify a very serious complaint because traditional medics would NOT accept what was clear even to me,a total ignoramus.Give the better practitioners a chance please. A bit of deliberate misleading there? It’s all in the spirit of homeopathy and CAM in general. Upper St N1, as even ex-Lahndeners like me know, is in Islington. N1 is a long way from Imperial College down in jolly nice South Kensington, W something. I love the Professorship from the Kathmandu Burnt-Down Yogi Flying Bus Station University. Makes Holford’s “Honorary Professorship” look quite fancy. I’d love to start styling myself “Professor” but I was always under the old fashioned impression that you had to earn the title. I have sometimes wondered about coughing up the money to be a “Fellow” of the RSM… but twenty quid a month to be able to use their library once a year sounds like rather a lot. She talks of trials ‘all over the world, in developing countries’ where children with diarrhoea have been treated with homeopathic medicines and also placebos and Jayney claims that the children who have been treated homeopathically had shorter periods of diarrhoea. Well, I can believe giving children in developing countries clean water will lead to shorter periods of diarrhoea. Um LCN a p<0.05 is damn good significance. Perhaps you meant p<0.5? which is in essence, chance. Um LCN a p<0.05 is damn good significance. Perhaps you meant p<0.? which is in essence, chance. No. I stand by what I said. A p<0.5 is a fifty fidty chance, A p<0.05 is a 1 in 20 chance. When you are conducting an experiment with many dozens of measurements youare going to get several 'significant' results by chance. You cannot just leap on these and claim an effect. When the prior probability of the experiment showing a positive result is extremely low, then you need very high levels of significance. Homeopathy never shows this and never attempts to design experiments that would be unequivocal. “In discussing the Chagas and diarrhoea trials, Jayney Goddard misled her TV audience. It would have taken half an hour for Singh to untangle that lot, even if he had the relevant papers to hand” reminds me of the creationist debating tactic known as the “Gish gallop“. The idea is to rapidly make as many claims as possible, regardless of how wildly innacurate, which will take the opponent far more time than is available to rebut – even if they have the relevant research to hand. As LCN says, when you run dozens of comparisons, some of them will be positive by chance alone. If you were to flip a coin often enough, you will get 5 heads in a row, on many occasions (UK people may remember the Derren Brown item in which he spent hours flipping coins to get 10 in a row). This is why researchers go bald making corrections for multiple comparisons, effectively a correction for flipping a coin lots of times. You have what looks like very interesting numbers but by the time you have corrected for clustering you have beaten your data to a pulp and end up with a frankly unimpressive significance for your findings if there is any significance still standing. Wiki has a nice account of Bonferroni correction which you can run when testing independent hypotheses on a set of data. Some argue that the statistical significance level to assess each hypothesis separately is 1/n times what it would be if only one hypothesis were tested (there are some dissenters). E.g., 2 independent hypotheses would be acceptable only at a p <0.025 and so on. However, as LCN indicates, even these corrections can’t compensate for prior implausibility. The idea is to rapidly make as many claims as possible, regardless of how wildly innacurate, which will take the opponent far more time than is available to rebut – even if they have the relevant research to hand. Isn’t this also a hallmark of bullshitting, as defined by philosopher Harry Frankfurt? PS I think we should be calling this woman “Professor” Goddard, cf. “Dr” McKeith. She is not a Professor as far as I’m concerned if she only has some kind of bogus Honorary Professorship. As usual, the same skeptics who laughed at Einstein. If you would bother to peruse the CAM site you would note that the various colleges associated with them have the most vigorous academic standards. Some of them have courses that last as long as five days, at £125 p.d. That works out at $45,000 p.a., a hell of a lot more than Oxbridge, meaning it is that much better. Please provide examples, because all I see in the CMA’s associated colleges are outfits of cranks like the Atlantis College of Crystal Reiki & Sound Healing, the Colour Resonance School and the Chi Centre for Practical Detoxification. Places like Harvard, MIT and Imperial College are conspicuously absent. Well yes, courses that last as long as five days must be practically equivalent to a medical degree. That works out at $45,000 p.a., a hell of a lot more than Oxbridge, meaning it is that much better. You are joking, right? Just because they charge lots of money per day doesn’t mean they’re teaching anything of any value. For your information anonymous, I did not laugh at Einstein. Wow, what a lot of nasty pastys you lot are and all because Jayney Goddard came across as being much better informed and knowledgeable than Dr. Singh. You would have thought that Dr. Singh would have been able to quote specific details about the research papers he wanted to produce as evidence of failed homeopathic trials. I am afraid Dr. Singh gets very confused about a lot of things, for instance in his book “Trick or Treatment” he and Prof Ernst write “it is hard to over-estimate the importance to medicine of Forence Nightingale” ……..”She relied on statistics,science and common sense. You cannot get to the truth until you have evidence and when you do, people will listen to you.” Dr. Singh and Prof Ernst were spot on with this bit of research for their book as Florence Nightingale was a great fan and user of homeopathy. Anonymous – you may well be right to say that Jayney ‘came across’ as more knowledgable. My argument is that she actually did not know the literature, or misrepresented it, and so ended up misleading the audience. If I have got any facts wrong above, then I would welcome your input. For your interest and enjoyment, here is a copy of an email encouraging the faithful to call the show……as suggested in the email, I am forwarding it to those who might be interested……. Apologies if you have already received this from elsewhere. Jayney Goddard, President of CAM(Complementary Medical Association) will be appearing on The Wright Stuff on Channel 5 tomorrow – Wednesday 7th May at 10am. She will be in debate with Simon Singh who has recently written a book with Professor Edward Ernst which basically sets out to prove that complementary medicine is dangerous, ineffective and should not be made available. Many of the recent attacks on CAM in the media recently have happened as a result of this book. If you are able to call in to the show to talk about your positive experiences of complementary medicine and especially homeopathy(as this is the main subject in this particular show) please do so. The telephone number to call is 0207173 5555 (local London call cost). Please don’t worry if you can’t get through as every call counts and will demonstrate to the producers of the show that complementary medicine is an important topic and that it should be included in more shows. attacks on homeopathy are the thin end of the wedge and that other therapies will see further attacks of this nature in due course. We need to work together to safeguard ourselves as practitioners and our profession. Please forward this to anyone who you feel would be interested. and is a non-profit organisation. Le Canard Noir please can you state what literature Professor Goddard got wrong or misrepresnted? I thought what she said sounded pretty correct and well stated. As an extra point of interest during the Crimean war another nurse Mary Seacole was working on the actual front line. Mary just like fellow nurse Florence Nightingale believed in natural healing and used herbs and remedies to save the lives of many severely injured men. Anon – links are given in the text of my article. You can check for yourself how they have been misrepresented. Note, how Jayney just was not telling the whole truth about the state of research. Jayney was doing what all homeopaths do – being highly selective in her evidence and claiming that small trials trump large meta-anaylses. What she said about the mice dying and so on was simply not true. Could you imagine that being carefully discussed and refuted on the wright stuff? If you are prepared to do this, then it is easy to appear to be ‘more knowledgable’. For completeness, here is the sum total of research into homeopathy and diarrhea. Imperial college has now contacted the Homeopathy websites referencing them, and asked them to take down any references to Imperial college. Also, There is no record of Janey Goddard ever studying at Imperial, and claims she studied at a homeopathy college that was based there. Ther has never been any Homeopathy college based at Imperial College. The source of this confusion could be that Homeopathic colleges on occasion rent out seminar rooms at Imperial College campuses. However, the Imperial College teaching Faculty has no association with them, and as such claims of an association are invalid. It is astounding that Janey Goddard made these claims, considering that Simon Singh actually IS an alumnus of imperial college. Imperial college is also having the same problems with the London College of Clinical Hypnosis, which also books out seminar rooms in a similar way, and have members who also make outrageous claims. no, no, and no. The public have an attention span of a gnat. Hearing the title repeated just re-inforces it to them – the sarcasm is lost. Better call her ‘Ms’ Goddard – it can often generate a debate of its own, and useful to get the point across that Prof-she-aint. yes, Mary Seacole is on record as using herbs – they were the fore-runners of modern medicines. Not a comment on this site has denigrated herbal therapy – but homeopathic remedies (although both beginning with ‘H’) are a totally different ballgame. By homeopathic admission, contain an extract of an active ingredient so dilute that not a single molecule of the original remains in the final solution. Ms Goddard seems, to my poorly trained eye, to be a fairly typical con artist. I should add that all CAM, for what it’s worth, seems to have its roots firmly planted in the desire to con. The reason con artists are successful is because they seem to be so reasonable. I am thinking, why do people like Ms Goddard, Pilltrick and the like feel the need to resort to misleading information so often – if they aren’t deliberately hiding something? The Imperial College reference is so obviously intended to deceive. Surely one would know where one studied, and with whom the institute is or isn’t affiliated. And this sort of thing happens on a depressingly repetitive basis (like all the time). Personally I think these people are disgusting in the way child abusers are disgusting – they take advantage of people’s vulnerabilities for personal gain and status. And they appear, not for a single moment, to think there might be anything wrong with what they’re doing. My own view is that, for the most part, they do know exactly what they’re doing. Ms Goddard certainly demonstrated she knew what she was doing when she sent out her email rallying support, and the subsequent gloating. It true con artist style, it;s an act. She’s aware in the way that the most cynical and exploitative people are. Bi-aura.com have overhauled Ms Goddard’s bio on their site. No mention of Imperial College at all. I am delighted that at herbalism is accepted by Le Canard Noir. That at least is a step in the right direction because I have seen one drop doses of herbal mother tinctures cure many serious illnesses. How can one tiny drop of a herb be so powerful? Answer because it is the energy of the plant that heals not the substance. This is the same with homeopathy it is the energy of the plant or mineral that heals. Dilution alone does not work, the substance has to be succussed to energise it. Now I have a question for you. If homeopathy has no reaction on the body why do surgeons in the hospitals advise not to give homeopathic Arnica before operations? Curious about this myself I asked a friend of mine who is a theatre nurse why no Arnica pre op? Her reply was that it thins the blood too much and makes it hard work for the surgeons to stop the bleeding. As homeopathic Arnica is brilliant for dispersing blood clots it makes sense not to take it before surgery. However it is magic in the 200c dilution after surgery for healing. My homeopath gave my son some after a car accident and he amazed the doctors by the speed at which he healed. Massive bruises disappeared virtually overnight. I never go out without a tub of Arnica in my handbag for emergencies. le canard blanc – I have no idea what you are talking about. 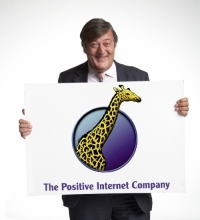 Basic etiquette on the net – stick to the subject of the post. I reserve the right to delete comments that cannot follow simple good manners. A couple of years ago I started a diploma course in spiritual counselling (I know, It sounds ridiculous….but I was very lost at the time and it sounded like a great way to learn about myself, fix my low self-esteem, and help others in the meantime). It turns out that their courses are recognised by the CAM. I was very naive and, after finishing my “diploma”, I actually joined the CAM. I honestly have no idea how it is possible for a “college” to give qualifications out like this, and for them to support “organisations” like the CAM. I feel tricked–I spent 3.5k on a stupid diploma and got nowhere. I wish I knew before I enrolled. How are these courses even legal? Now I want to study counselling at a proper college, recognised by the BACP. So sad. Good luck with your news studies and thank you for sharing. Not that many are brave enough to acknowledge that they made an error with these courses. just watching this lady over the years makes my skin crawl. She is a charleron and exploits vulnerable people pretending she is something she is not.